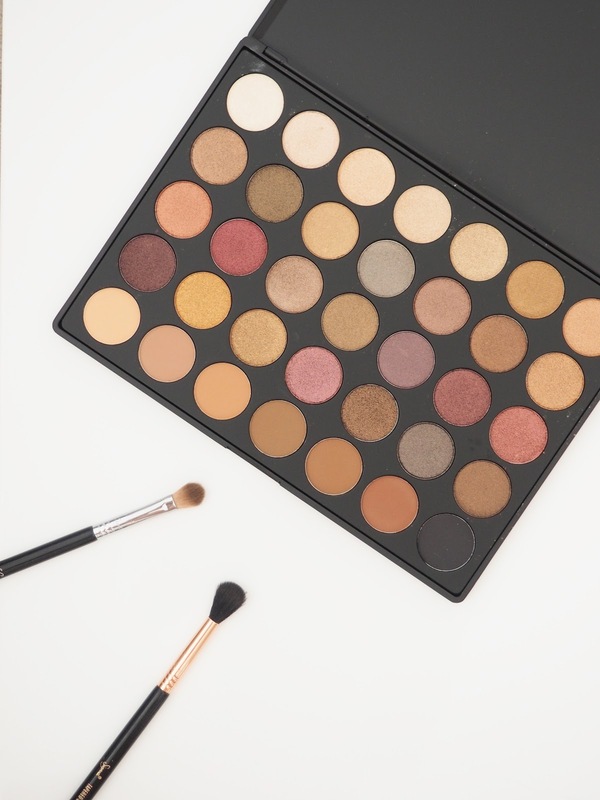 As soon as the email arrived in my inbox, revealing the newest Morphe eyeshadow palette - the 35F - I was all over that like a kid in a sweet shop! The colour's in this beautiful palette really speak to me and I'm so excited to start using it (because obviously I had to wait until I photographed it before I could actually use it..). I love Morphe eyeshadow's, I think they're up there with some of the higher brands and for literally half the price. The pigmentation is always on point and the amount you get for your money is awesome. I'm always really drawn to shimmery shadows and I think that's the main reason that I fell in love with this palette in all honesty. 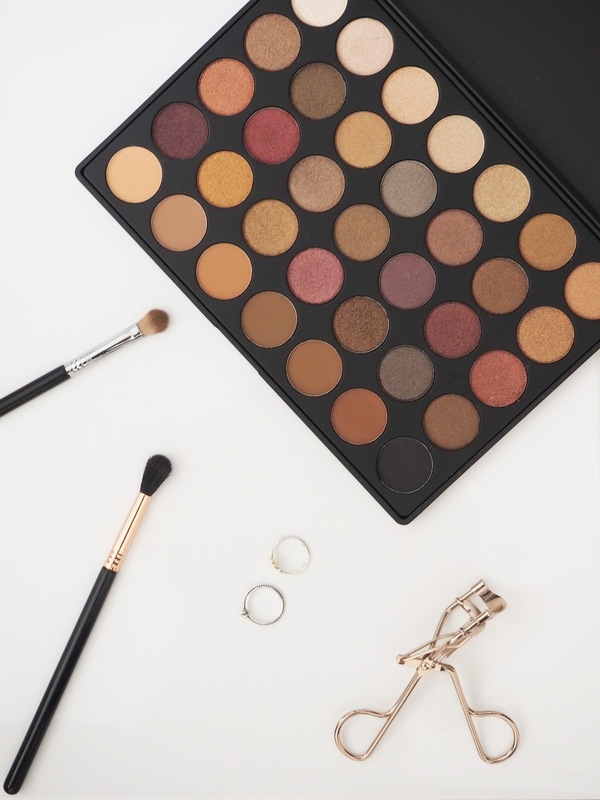 There are only seven matte shades in the whole palette and a total of twenty eight shimmer shades. Top Row, Left to Right: Frosty white shimmer, frosty pink/beige shimmer, frosty peach-y shimmer, frosty champagne shimmer, frosty golden shimmer, orange-y brown shimmer and copper shimmer. 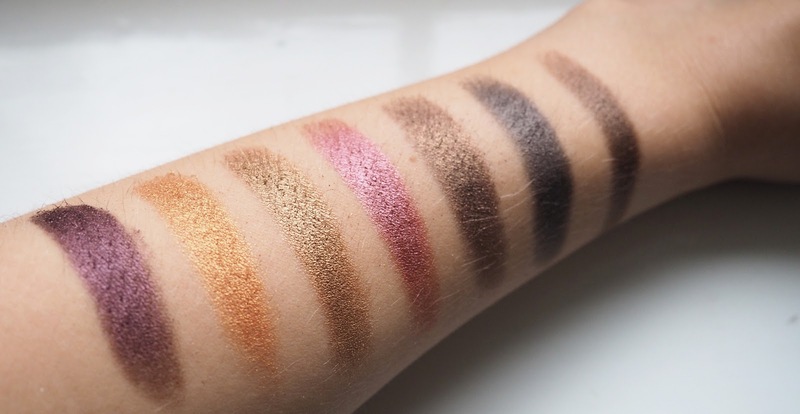 Second Row, Left to Right: Dark brown shimmer, grey/khaki shimmer, copper/gold shimmer, grey/navy shimmer, purple shimmer with slight yellow undertone, deep chocolate brown shimmer and medium brown shimmer. Third Row, Left to Right: Orange shimmer, dark pink shimmer with orange undertone, silver-y brown shimmer, khaki/brown shimmer, purple shimmer with slight silver undertone, plum purple shimmer with slight yellow undertone and cherry red shimmer with slight yellow undertone. Fourth Row, Left to Right: Deep purple shimmer with slight yellow undertone, golden orange/brown shimmer, light to medium brown shimmer with silver undertone, dark pink shimmer with slight yellow undertone, dark brown shimmer with slight silver undertone, deep blue shimmer with slight silver undertone and dark brown shimmer. 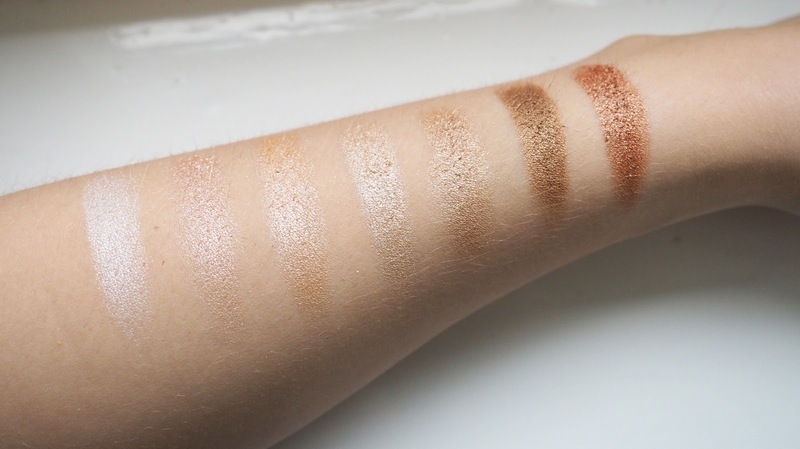 Last row, Left to Right: Pale, light skin tone matte, pale brown matte with slight pink undertone, pale brown matte with orange undertone, medium brown matte with khaki and orange undertones, medium neutral brown matte, dark brown matte with slight red undertone and black matte. So I did my best with trying to explain each shade within the palette, but as you can tell I'm no professional! So thank goodness for the swatches! I love this palette a lot and all of the shades are gorgeous, especially for this time of the year. I believe this palette is limited edition, so I would get your hands on it quick!